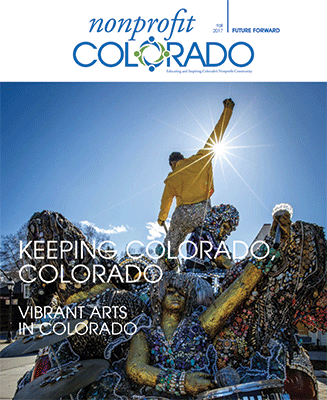 This issue highlights how the effective work of Colorado’s high-performing nonprofit sector – positively impacting our state’s communities – paves the way for Colorado as a leader in our nation. 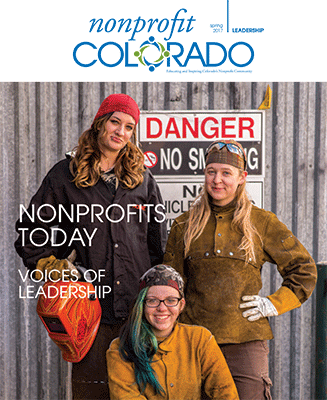 This issue highlights some of the best leaders in the nonprofit sector and ideas to help nonprofit professionals become better leaders. Change is either hard to deal with or a welcome relief. 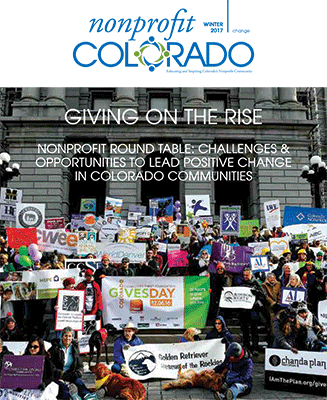 This issue highlights the bright spots in why nonprofits must be able to change or evolve.